I spent winter semester of academic year 2014/2015 on Malta studying on local university. As a student of FIT BUT. I had an opportunity to participate in Erasmus+ student exchange program. In Y Soft Corporation I work as a QA Engineer in Jakub Pavlák’s team in R&D Department. During study period I was still part-time employed in Y Soft corp. I would like to express big thanks to my supervisors who allowed me to work from abroad. It was not easy to manage it but I tried to do my best. University of Malta was founded in 1769 and has 14 faculties. There are more than 11000 students at the university and around 1000 students are foreigners. 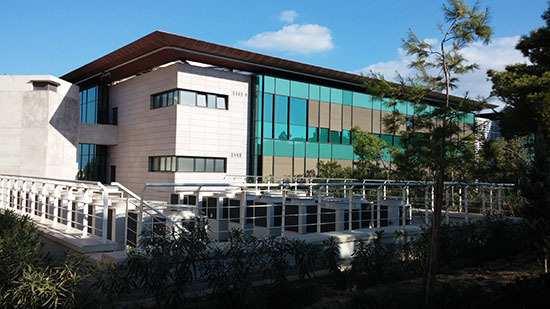 I studied at Faculty of information and communication technologies that is the newest one and was built in 2007. I took study units that involved programming, object oriented design and business intelligence. Partly I revised my knowledge from previous study program but I also got new experience in neural networks or cryptography basics. During semester no more than 100 students attend classes, but mostly in higher classes there are mostly 40 students maximally so there is very calm atmosphere during lessons. Teacher approach to the students is much more personal than that is at my home university. Every study unit contains an assignment – home work which helps to get deeper knowledge of subject. In the end semester there was an examination session. Unlike from BUT FIT the session is very short – only two weeks and for every study unit students have only one attempt. At my home university we have three attempts for each study unit. It took more than month to get all the results from University of Malta – but it was worth waiting for it – I passed all my exams. There is one interesting thing about UoM especially about one of its teacher. Dr. Vitezslav Nezval works at the Faculty of information and communication technologies. He is an alumnus of BUT and what is more he is a nephew of one famous Czech poet – Vitezslav Nezval. At UoM there are also some student organizations that organized different types of activities. During whole visit I participated in many activities with other international students. Very often we travelled throughout Malta and also we visited the smaller island Gozo. 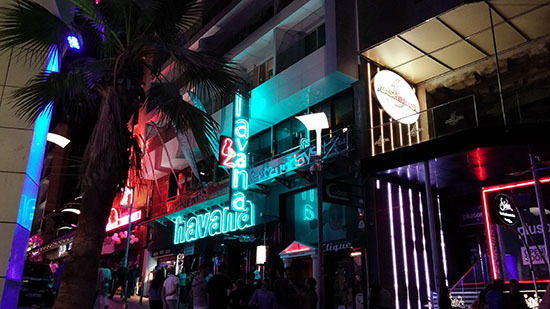 There were also organized student parties in Paceville and in other places at least twice a week – it was sometimes quite difficult to get up next day for next lesson or work. Maltese islands can be found south from Sicily. They consist of three islands Malta, Gozo and Comino. Whole area of islands is no more than 400 km2 and population counts around 400 000 inhabitants. But this number grows at least three times during tourist season. The capital of Malta is Valletta. There are the most important administrative building amongst many beautiful sights also with restaurants, theaters and shops. 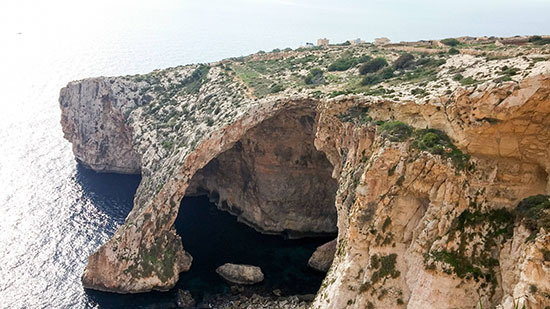 There two languages officially spoken on Malta, Maltese and English. Maltese is a very strange language. It is a kind of mixture of Arabic, Italian and English and also quite difficult to pronounce. Most of Maltese people speak English so there are no problems with understanding. Very exciting place to visit is Paceville. It is a center of many fun activities and social life; there are shopping centers, many hotels, bars, pubs, cinemas and casinos. Most student parties took place here. In this part of Malta there is the highest building of Malta – The Portomaso Tower. It is 98 meters tall and on its top floor a club called Twenty Two. It offers very nice view on the island and very luxury and expensive drinks. Prices of common foods and drinks in shops are a bit higher than in the Czech republic. But prices for services, dishes and drinks in restaurants, bars etc. are two or three times higher. Living costs on Malta are higher but if you don’t go every week to casino or high society bar, it is affordable. Malta has really exciting nature. There are many places to visits. You can start with cliffs, megalithic temples, churches and cathedrals with big domes. There is one interesting point about churches – on Malta there are around 360 of them and almost all native Maltese people are believers – Roman Catholic. Also there are plenty of beaches on Maltese island – Golden bay, St. Peter’s pool, Ramla beach on Gozo with orange sand or Blue lagoon on Comino. Very interesting place is city of Mdina. It is former capital of Malta and it is called “Silent city”. Mdina is medieval fortress with cathedrals inside. 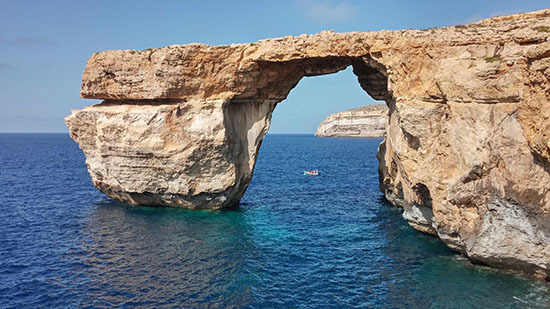 There are also other places like Azure window on Gozo or Blue Grotto where you can do scuba diving. Because I am a beer lover I had to taste local beers but I was really disappointed. Local beer is a very poor taste. 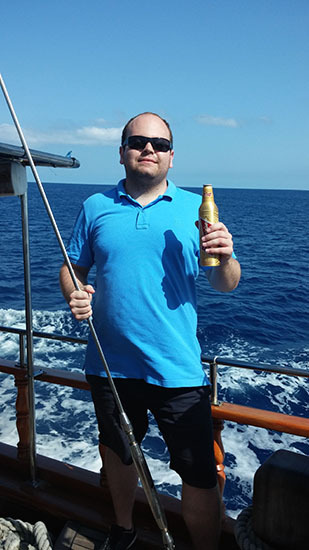 I don’t recommend to move to Malta, if you are beer lovers. Even if you can buy some better tasting beers, the variety is very little. From middle of Europe almost no beers are imported, I think, if a Maltese tastes good Czech beer, he will never drink the local one 😉 There are also sold liqueurs made of prickly pear and other tropical fruit are very typical drinks. They are often very sweet. Maltese wine is worth tasting, there are not many places where to make wine but final product is quite good. Typical Maltese dishes contain mostly seafood and fish. But there are also cooked little snacks called pastizzi with big variety of tastes. Fried rabbit with garlic and wine is also one the typical Maltese dish. The weather on Malta is for almost 8 months in the year really nice, no raining, mostly sunny with tropical temperatures. Only in the winter the temperature is between 10 and 15°C but of course without any snow. Sometimes there are hailstorms. Maltese people are very kind, always willing to help but they have plenty of time for doing everything, they never hurry. I had to adapt to this. I had a great chance to meet a lot of new people and students from countries all over the world. I learned about different culture and about different style of teaching. I think I also improved my English communication skills and learned new interesting information about information technologies. I gained lots of exciting experience and the whole visit left me with many unforgettable memories.